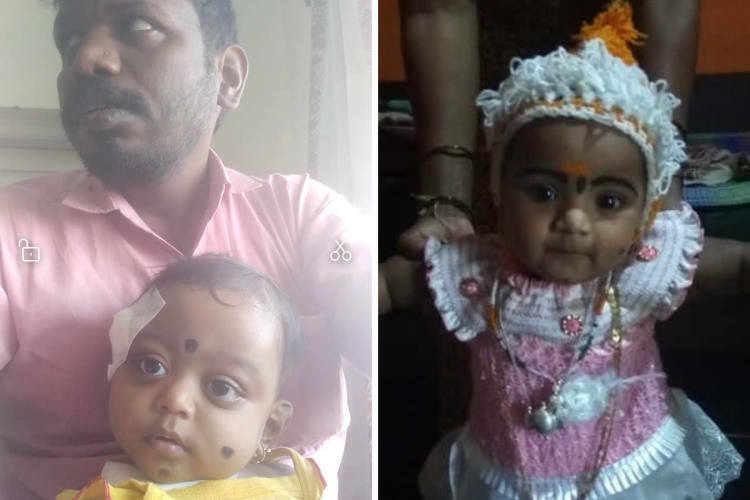 3 months ago, Koteppa and Pushpa brought their daughter, Shravya, to Bangalore. She has cancer of the nerves cells, a tumor that is growing near her stomach. After several cycles of chemotherapy, the family discovered that her condition is only deteriorating. Since it has already reached Stage IV, they have only one shot at saving her. There cannot be any more delay. Shravya's fever was not the only symptom. She had bruises and a black eye. Her stomach had begun to bloat. 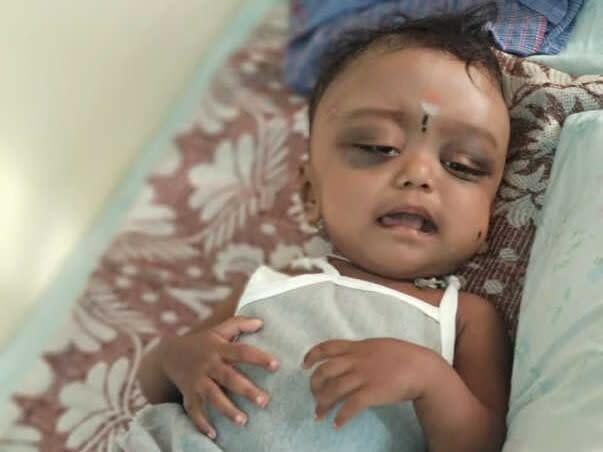 At a hospital in Davangere, Shravya received treatment for a blood disease. Every time they were discharged, her condition only got worse. Finally, an MRI showed that he had a huge tumor near her stomach. 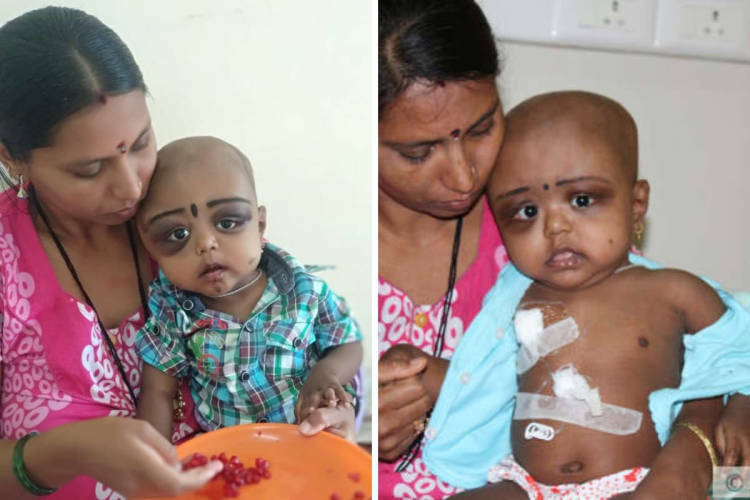 Overnight, the family came to Bangalore where she was diagnosed with cancer. Koteppa, a government school primary teacher, has not gone to work for 3 months. He sleeps in the lobby of the hospital. During the day he runs errands, buying food for his family, medicines for Shravya, and making calls to relatives back home in Karwar for help. He is not even allowed to stay with his daughter. Pushpa left the hospital against medical advice right after her surgery. Her life could still be in danger. 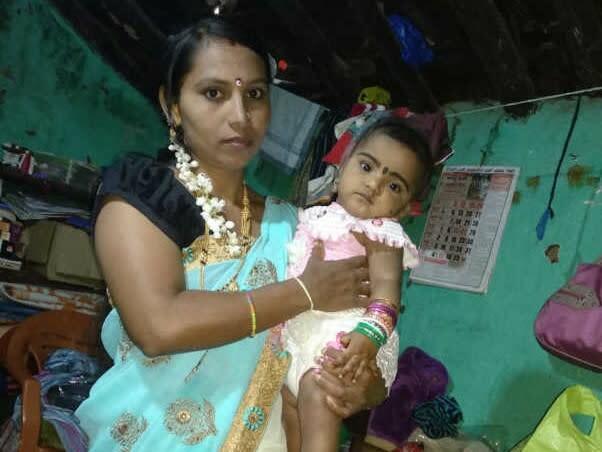 Staying away from her sick daughter for days broke Pushpa's heart. 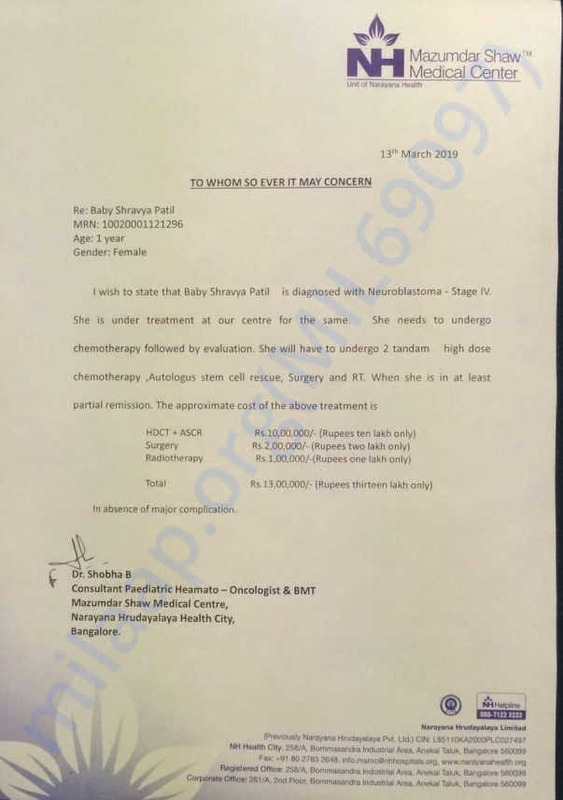 To make things worse, Shravya was not responding to treatment. 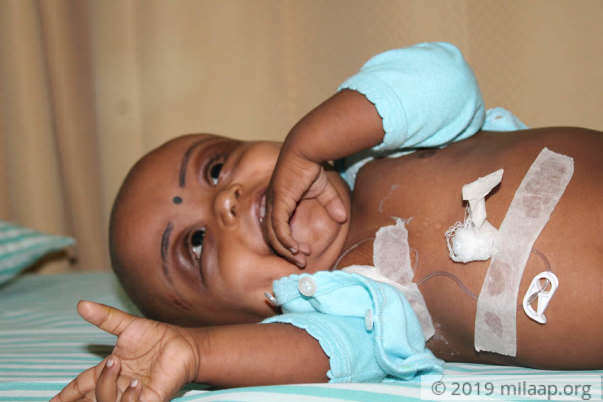 Pushpa says within a week, she could feel the difference in her baby's fragile body. Shravya had lost even the hair on her eyebrows. Her stomach and entire body were swollen. Koteppa literally begs people who approach him to help arrange funds for his daughter. 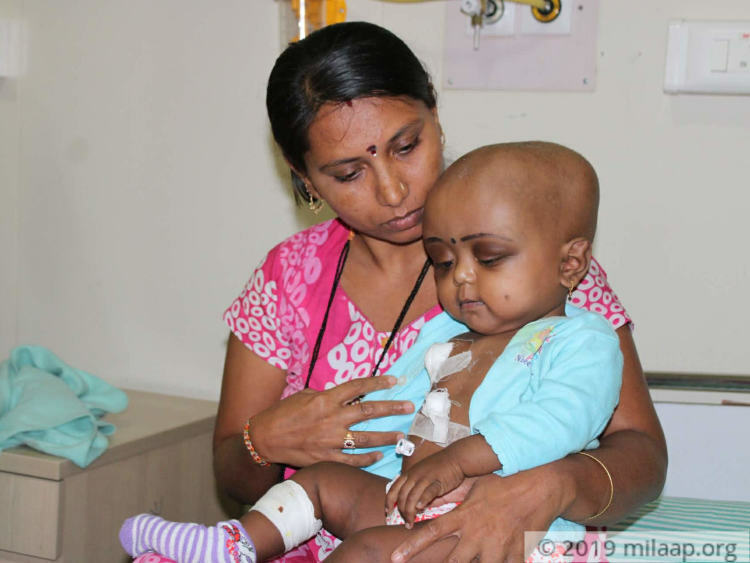 Shravya needs to start high-dose chemotherapy, following which she needs a stem cell treatment, a surgery to excise the tumor, and then radiation. She is in partial remission today, and it is best to start this course of treatment now for her to have a chance at beating it. The family 13 lakhs, without which Shravya might have to go home and succumb to cancer. Your contribution can save her. Now this family has nothing to continue treatment and Shravya is running out of time.